Dashboard Week – Day 5 – Friday was the last day for dashboard week. We learned a lot during this week and were enjoying it with some less- sleep nights. Day 5 data was comparatively clean and hence not a big need to apply our data cleaning skills. A slight change was strict timelines, which dashboard should be done and need to present by 3pm. 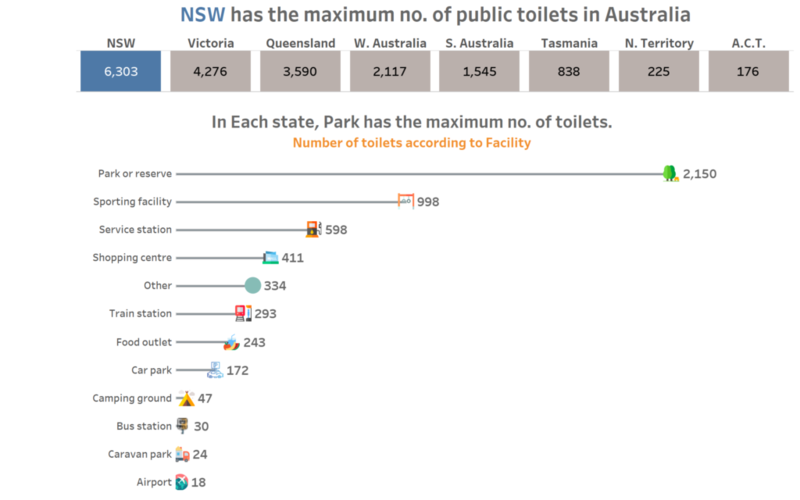 The data was about public toilets in Australia ; a topic common to everybody. 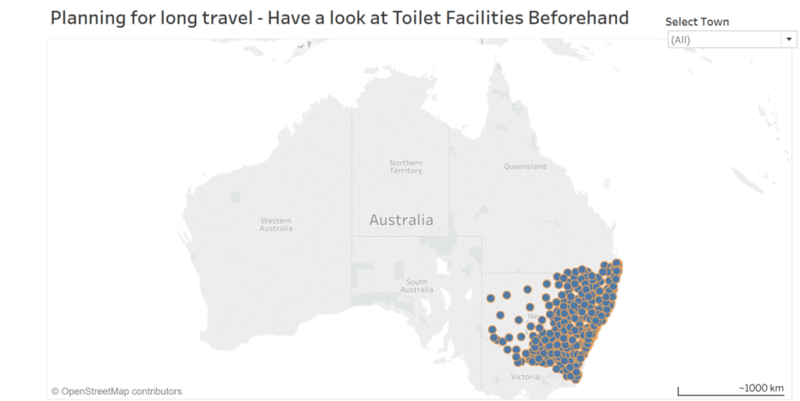 The data had information like number of toilets across states in Australia and what are the facilities available like baby change, dump point, parking, opening hours, shower, sharps disposable and keys required etc. The exercise started with data understanding on white board and appropriate look and feel of dashboard on A4. Today we followed “simple is effective” approach which means use the basic charts and create an effective story line.